A contractor based in Toms River has been arrested after allegedly failing to lift and renovate a Seaside Heights couple’s home. Thomas Carlevale, 29, is charged with theft by failure to make required disposition and failure to register as a contractor with the state, following a complaint filed by Mary and Nick Ditta with the Ocean County Prosecutor’s Office. The couple told investigators that they contracted Carlevale’s company to lift and renovate their home in Seaside Heights but the work has been left incomplete, said Al Della Fave, spokesman for the prosecutor’s office. The investigation by prosecutor’s office’s Special Investigations Unit alleges that the family provided approximately $22,000 to Carlevale for the requested services and that Carlevale spent approximately $4,500 on the job before abandoning the work and leaving the residence damaged and incomplete. In addition, the investigation found Carlevale was not registered with the state as a home improvement contractor at the time the contract was drafted, Della Fave said. Carlevale was arrested on Wednesday by detectives with the Special Investigations Unit following a traffic stop. He is currently free on $50,000 cash bail. 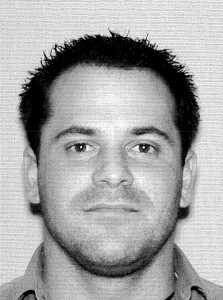 Anyone experiencing issues with Thomas Carlevale’s construction company can contact Special Investigations Unit Detective Brad Frank at 732-929-2027, ext. 3689, Della Fave said.